I have a bunch of text files, images and pdf files which I want to convert into a single pdf file. How do I do it? It worked for me, but the problem is it converts the text.txt file into an image, so you can't highlight the text in the resulting pdf. 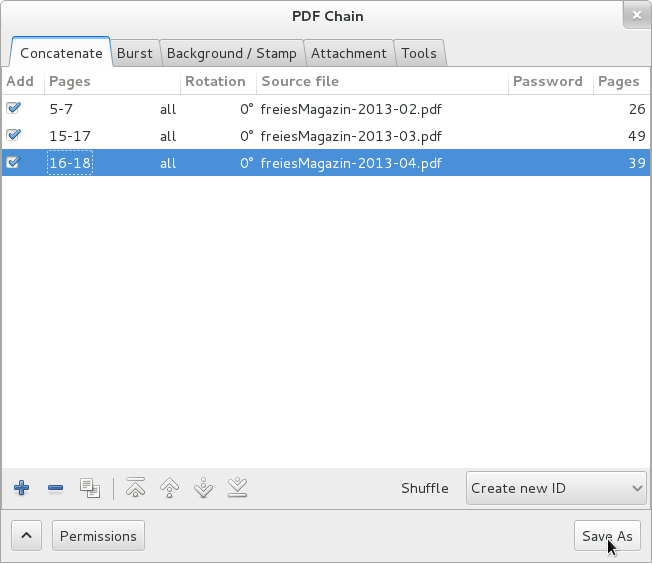 You can install it either from the default repos, or get the latest and greatest from PDF Chain PPA. I used command substitution to pass the selected items returned by find command as an argument to convert command. Unfortunately sort -n didn't sort my files correctly so I tried -V option and it did the trick. Also make sure the name of your files and directories are in natural sort order in advance. For example dir1, dir2, dir3 not dir1, dir_2, dir3. I can't believe nobody has mentioned latex (tex) yet. It is specifically designed for producing documents, and can combine text, images, and PDFs into a 'master' document (without any degradation of quality). It is a full suite of libraries and an extensible markup language, basically - it's been around since forever and highly used in the scientific community, still. Technically, it's a typesetting language. This is the solution i used to convert multiple TIFFs to PDFs. I had to create more than 6.000 PDFs starting from 30.000 tiffs. convert estimate time: 6 to 7 hours. I used tiffcp and tiff2pdf, they took few seconds. This way is really fast because images are not converted, just packed. Maybe there are some tiff formats that doesn't work so easily, for me it worked perfectly. Adding on the community answer above, you can do convert 'ls *.jpg -tr'. To force the PDF file to have the images in chronological order. I use PDF-Shuffler for this kind of use, it works great. It is a graphical tool. You simply load all the pdf files you want to fuse. You can change the page order as you wish. I had never used it before but it took me about 10 minutes to start making .PDFs with it and about 40 minutes to get them customized exactly as I wanted. I included the best formatting guides I found, at the end. 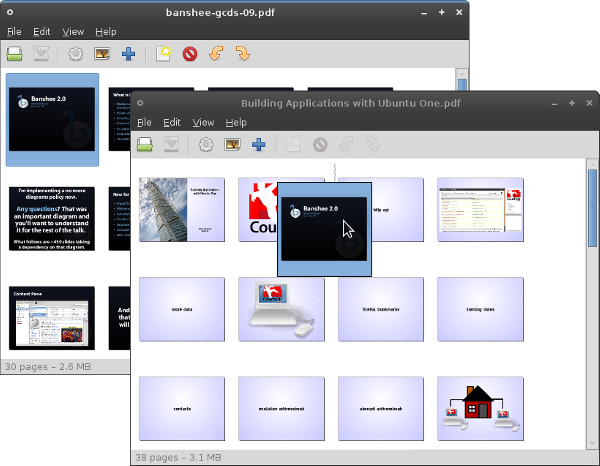 Unlike convert it directly manipulates on pdf without converting them to images. Also on 18.04LTS (Bionic Beaver) at this moment package pdftk is not supported. I would recommend pdfjam if someone prefers to use command line. Not the answer you're looking for? Browse other questions tagged pdf images text merge or ask your own question. How do I combine Multiple TIF files into a Single TIF file? How to search text within PDF files with docfetcher?